Better Late Than Never is the extraordinary true story of how a man born into poverty in London's East End went on to find stardom late in life when he was chosen to be head judge on BBC1's Strictly Come Dancing. 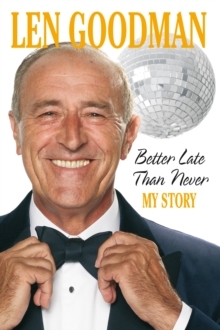 Len Goodman tells all about his new-found fame, his experiences on Strictly Come Dancing, and also on the no.1 US show Dancing with the Stars and his encounters with the likes of Heather Mills-McCartney and John Sergeant. But the real story is in his East End roots. And Len's early life couldn't be more East End. The son of a Bethnal Green costermonger he spent his formative years running the fruit and veg barrow and being bathed at night in the same water Nan used to cook the beetroot. There are echoes of Billy Elliot too. Though Len was a welder in the London Docks, he dreamt of being a professional footballer, and came close to making the grade had he not broken his foot on Hackney Marshes. The doctor recommended ballroom dancing as a light aid to his recovery. And Len, it turned out, was a natural. At first his family and work mates mocked, but soon he had made the final of a national competition and the welders descended en masse to the Albert Hall to cheer him on. With his dance partner, and then wife Cheryl, Len won the British Championships in his late twenties and ballroom dancing became his life. 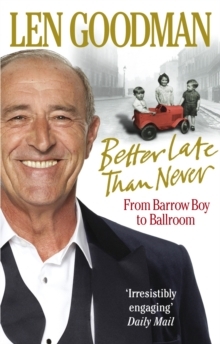 Funny and heart-warming, Len Goodman's autobiography has all the honest East End charm of Tommy Steele, Mike Read or Roberta Taylor.